We have stocked all the necessary ingredients separately and in various doses. You can also choose to buy pre-mixed flavours and basic liquids (the ‘base’). This will work easier than using separate components, but it is slightly more expensive. If you choose to make the whole e-liquid from scratch, you will have to start by mixing the base fluids. In order to determine the best ratio of PG to VG in the mixture, consider the properties of each liquid. We described those properties in an earlier blog post. Distilled water is on the ingredients list because you can use it to make your e-liquid thinner without using extra PG. The water will especially be useful if you are allergic to PG. It is worth noting that the addition of distilled water will not affect the taste of the final mixture. Whether or not you add nicotine is entirely up to you. The e-cigarette is a tried and tested way of treating the habit of smoking tobacco, so in that case, the addition of a little nicotine can be useful when you are starting out. You can use flavours and dyes to optimize the e-liquid for yourself. Try to make it sweeter, fresher, and a little spicy. It is important that you, a contemporary alchemist, work with the recommended safety standards when creating your e-liquid. Be sure to use vinyl gloves when handling the ingredients so that your skin does not come into contact with the base fluid or nicotine. These are the same gloves used in laboratories. 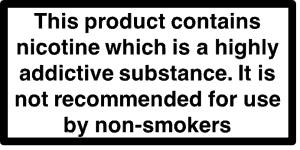 Nicotine can especially be harmful if it comes into contact with your skin. In this way, you will also prevent the transfer of bacteria through your hands to your melange. If you want to work one hundred per cent hygienically, consider buying a mouthpiece, especially if you have a cold or share your e-liquid with friends or acquaintances. Always provide a clean surface and keep wipes handy. If possible, you should work in an easy-to-clean station so that you don’t feel lazy and leave it dirty when you’re done. Tools that should not be missing in your kitchen include a measuring cup, and a small funnel, pipettes, clean empty bottles, a mixer and labels. With the labels, you will be able to give your vaporizer a name, code and date. Preparing your own e-liquids can significantly reduce your costs. You will also be able to use an e-liquid that matches your preferences with regard to smell and taste. Keep adjusting the proportions of the ingredients until the mixture satisfies you. Do you want to have a good indication of the proportions you use to create the perfect e-liquid for you? Then use our handy calculation tool. Good luck with making your own recipes and have lots of fun! Please use our calculator for the correct mixing ratios.